Becky is a wife and mother of two grown Princesses. 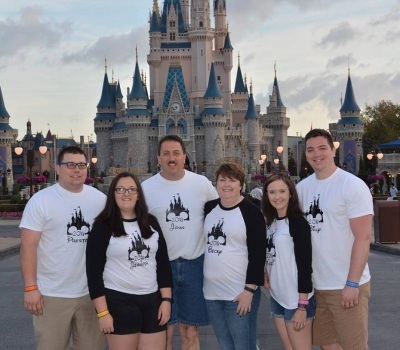 Her love for Disney is why she became a travel specialist. She has been helping families book their dream vacations since 2013. She is a graduate of Disney's College of Disney Knowledge and also has extensive knowledge on many other suppliers including, but not limited to, Royal Caribbean Cruise, Carnival Cruise, Princess Cruise, Sandals, and Universal Studios. 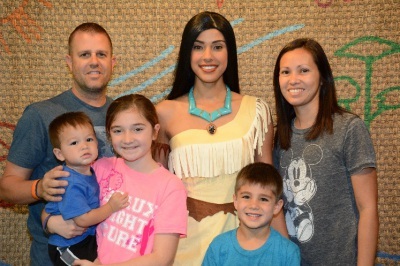 Although Disney is her specialty, she would love to help you find the perfect vacation that best fits your family. Let Becky help you make your vacation practically perfect in every way!! Todd is a husband and father of three. He has been providing concierge travel for amazing family vacations since 2013. He is a graduate of Disney's COllege of Disney Knowledge and is an expert in Disney, specializing in Disney World and Disney Cruise Line. He also has a love for All Inclusives, Carnival Cruise Line, Royal Caribbean Cruise Line, Norwegian Cruise Line and many other destination companies. He is there to answer questions or fix any issues that may arrise before and during a trip at all hours of the day. Let him take the frustration out of planning a vacation. Jessica is a wife and mother of two young boys. She is a Disney addict that has decided to use her love for Disney and share it with clients. She can help you relax by finding that all inclusive resort, cruise, or theme park. She is a 24/7 agent that does not keep bankers' hours. She loves to answer any question you have or have in depth conversations about your trip. She is with you every step of the way, from planning your vacation until the time you get back home. Jeremy is husband to a wonderful wife and the father of a Beautiful Princess and a Handsome Hero. He is a concierge travel specialist with expertise in all Disney properties, Sandals Resorts, and Royal Caribbean Cruise lines. Jeremy has been a travel specialist since 2013 and in that time he has helped numerous families travel to destinations around the world. At his heart he will always be a Mousketeer. Booking fastpasses at Midnight and Dining at 4am for families is what he lives for. Request a quote and let Jeremy show you how your Disney, Sandals, or Royal Caribbean adventure is just around the Riverbend.